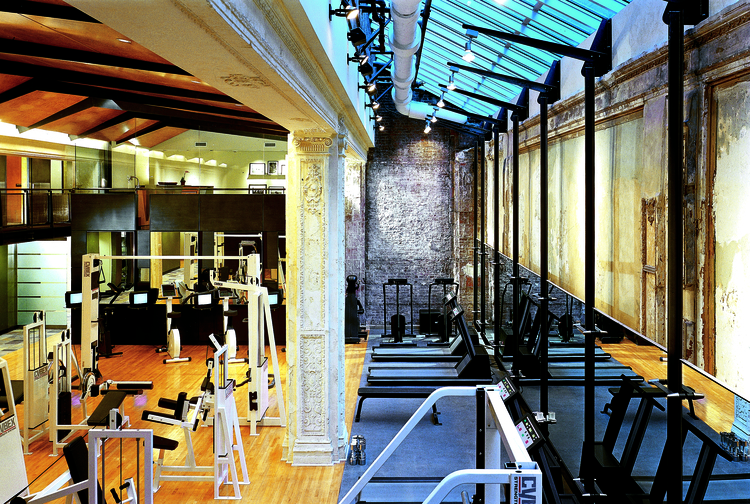 Aligning their vision of integrative and collaborative care, SPEAR Physical Therapy and LA PALESTRA, a hybrid between the medical and fitness industry, recently teamed up with the goal of providing a full-service healthcare experience unlike any other in NYC. Now New Yorkers can reap the benefits of this dynamic relationship. 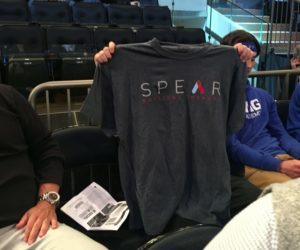 As of July, SPEAR is on-site at three LA PALESTRA locations, making it easier than ever before for New Yorkers to receive the seamless, high-caliber healthcare treatment they both desire and deserve. The heart of the SPEAR- LA PALESTRA synergy lies in the collaborative, relationship-focused approach taken by both organizations. SPEAR, co-founded by CEO Dan Rootenberg and David Endres, was named the nation’s top physical therapy practice by the American Physical Therapy Association’s Private Practice Section in part due to its unparalleled approach to patient care. 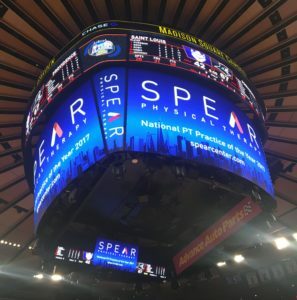 Seventy percent of SPEAR’s experienced PTs are former collegiate or professional athletes (three times the industry norm), and bring to each patient encounter a history of high-performance athletics and an intimate knowledge of injury prevention and rehab. This distinct perspective has led to one of the highest customer satisfaction rates (96.7%) in the industry. 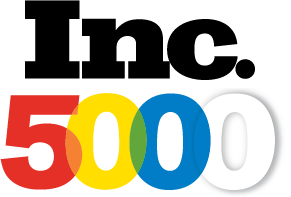 This uncompromising commitment to patient care is also responsible, in part, for the company’s growth, and its recent naming to Inc. 5000’s list of fastest growing private businesses for the 4th time. Founded in 1993 by Pat Manocchia, LA PALESTRA is a true hybrid, integrating comprehensive medical analysis and treatments with individually tailored exercise programs. Each LA PALESTRA gym is designed to be both inspiring and healing for patients, with a particular emphasis on personal space and privacy. 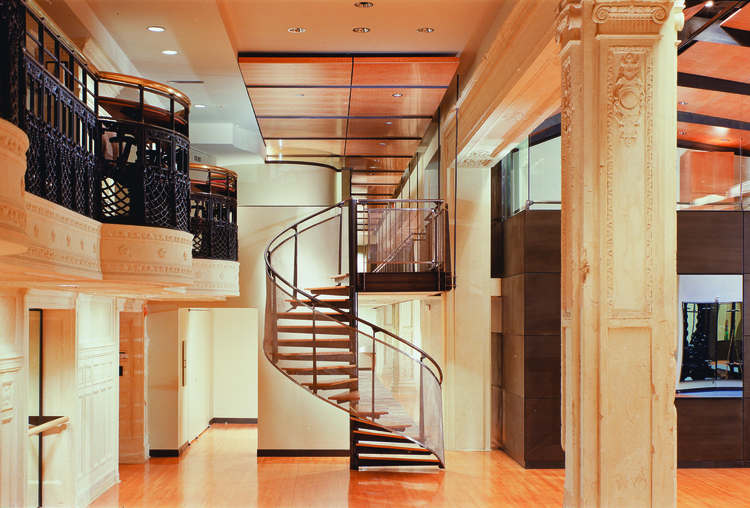 With similar values and parallel interests, SPEAR and LA PALESTRA have come together in three beautifully designed wellness centers, sharing space and offering access to the most skilled healthcare providers in the City. LA PALESTRA’s collection of standard and alternative services is provided by hand-picked professionals (internal medicine, orthopedics, nutrition, psychology, chiropractic care, cardiology, acupuncture and more), each at the top of his game. The SPEAR team spans a broad spectrum of specialties that includes Physical & Occupational Therapy, Hand Therapy, Women’s Health, Vestibular Rehab, Golf Swing Analysis, Return-to-Play Testing and more—there is even an on-call service for those who desire the added convenience of private treatment at their home, office, or hotel. LA PALESTRA’s special blend of medical care and fitness with an emphasis on prevention, and SPEAR’s model of customer-focused care while working between disciplines, aligns the two companies and sets the stage for success—a one-stop-shop of expert preventative care and rehabilitation. SPEAR Physical Therapy clinics can be found at the following LA PALESTRA locations: 67th Street, 70 Pine Street, and The Plaza Hotel. SPEAR has 15 convenient locations in Manhattan and Brooklyn. Hello to all the NYC Marathoners out there! In just a few days, you will be taking on those 26.2 miles and enjoying an amazing day as you accomplish finishing the race. Hopefully, most of you have been sticking to your training program and are starting to taper your mileage as you get closer to race day. However, the reality for many of you is that life got busy and you just need to get that last 20-mile practice run under your belt to know that you will be okay when race day comes around. One of the most important ways to prevent injury is to make sure that you are allowing your body to adapt to the amount of running that you are doing. With the race less than a week away, it is a little too late to worry about training programs. However, you can still take care of your body to prevent injury. As Physical Therapists, we hope to enable you to perform at your highest potential, as well as keep you injury free. If you have been struggling with running pains or want an individualized evaluation to maximize your body’s performance, come check us out at SPEAR PT! If you would like extra information on injury prevention and running-related topics, check out my running Instagram: @run_dpt. Warm Up Dynamically Before You Run! Most of us don’t like to warm up before we run. However, research has shown that a dynamic warm up is most effective in improving quadriceps strength, hamstring flexibility, and even vertical jumping ability.What is a dynamic warm up? It is series of sports specific movements that prepare the muscles for performance. 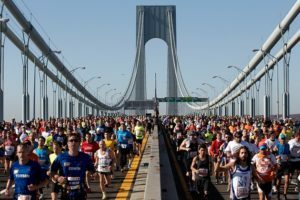 Here are some ideas for what you can do on the streets of Manhattan before you run. Stretching is important. It increases muscle flexibility and range of motion, signals your body to relax, and just feels really good. When you don’t stretch, your muscles can tighten up, stress your joints and change the way you move. Now you shouldn’t stretch right before you run, but you should stretch daily! Most of us know some easy hamstring and quadriceps stretches to do, but here are a couple of other stretches that can be helpful in keeping you loose. It is always important to vary the type of exercise you do. Any single type of exercise will overuse some muscles, and underuse others. To ensure that those differences don’t lead to injury, it is a good idea to supplement your main type of exercise. That could mean anything from playing basketball, doing pilates or yoga, or weightlifting. Here are a couple exercises that you can do to help supplement your running. SPEAR’s 10th Annual Picnic in the Park Had a Surprise Twist! 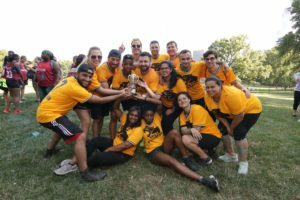 Every summer for the last decade, SPEAR has gathered team members from every office for our annual Picnic in the Park, a day of bonding and excitement in New York City’s Central Park. This year’s Picnic on July 21st did not disappoint! Employees came together for fun, games and off the charts team building that reminded everyone what it means to be part of the SPEAR family. The anticipation throughout the clinics leading up to this event is palpable, with everyone ready to bring their A-game to any challenge placed in front of them. Beginning with SPEAR-IT Week, each location participated in a daily photo competition on social media, bringing forth their most creative interpretations of themes like Music Festival Monday and Fat Tuesday. All of this lead up to the big events starting Friday afternoon, first with a truly wacky Scavenger Hunt starting from each team’s respective location to Central Park. The Picnic planning committee put real thought into having people step out of their comfort zones with every task on their list. They had to leap frog down Fifth Avenue, start a dance party on a subway car and take a picture with a group of tourists using their own camera, among many other fantastically fun things. 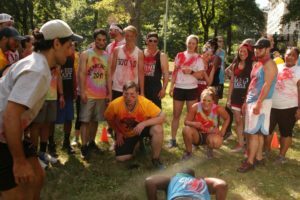 The SPEAR-IT Week events culminated in an epic Lip Sync Battle (57th Street “put a ring on it” and the judges said YES…to them winning) and the beloved Egg Toss with Dan and Ryan taking the cake yet again and making it a 3-peat as reigning champs. When all was said and done, Penn Plaza accumulated the most points and were crowned SPEAR-IT week champions! 2017 Picnic in the Park Champions, the Penn Plaza Panthers, celebrate with the coveted Picnic in the Park trophy! The final event of the day, the highly anticipated Relay Race, was shaken from the core when Sara Hovsepian, Revenue Cycle Director and head of the Picnic in the Park committee, announced that all of the offices would be divided up randomly into eight teams represented by colors. Introducing, SPEAR’s first ever…Color War. 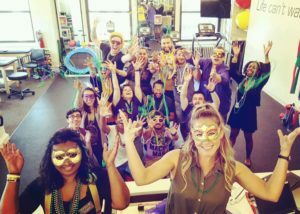 Suddenly team members from all of SPEAR’s 15 locations were thrust into a team with colleagues they’d never met before, initiating each other with colored face powder. Spontaneously they started creating team chants, strategizing and supporting one another as if they’d known each other for years. In the end, the Red Team came up victorious, led by SPEAR’s CEO and Co-Founder, Dan Rootenberg. Hovsepian was blown away by what she witnessed that day, saying “This relay race was really challenging in more ways than one. There were high volume burpees, air squats and sit-ups, and everyone had to do at least one rep. No one could take a back seat. We wanted people to be uncomfortable; great things happen when you’re uncomfortable. To see everyone rallying together, yelling and cheering for their new teammates, most of whom they’d just met, was incredible”. In the heat of the Relay Race, the “Red” team cheers on their teammates through an intense round of burpees. The newest members of the SPEAR team, in particular, expressed how meaningful this new color challenge was for them—to be initiated into the SPEAR culture by some of our veterans, and to feel first-hand the one-ness of the SPEAR team. 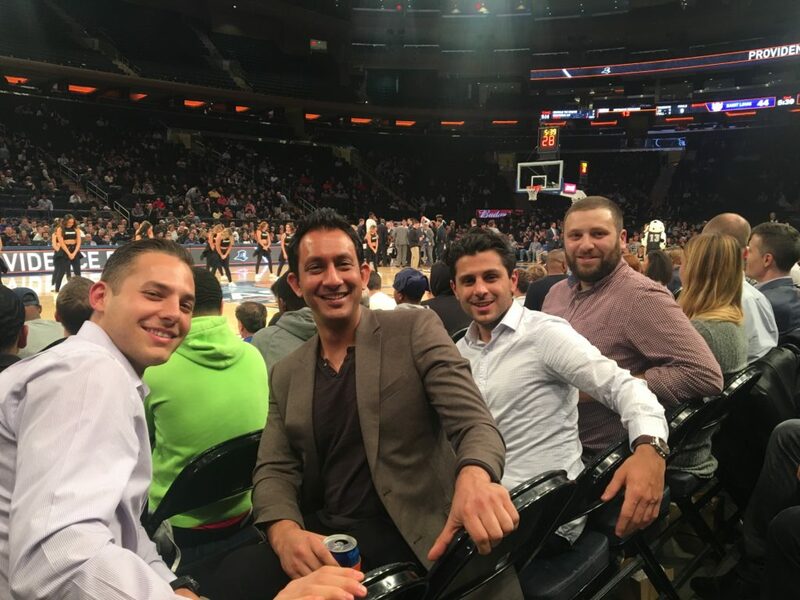 Hovesepian went on to say, “This latest picnic was a tribute to the amazing people that make up the SPEAR team, and to how choosing great individuals translates into superior experiences not only for our patients, but for each other as well. We are always looking for people that enjoy making a human connection. They make better partners, friends and co-workers, and do a better service to our patients”.